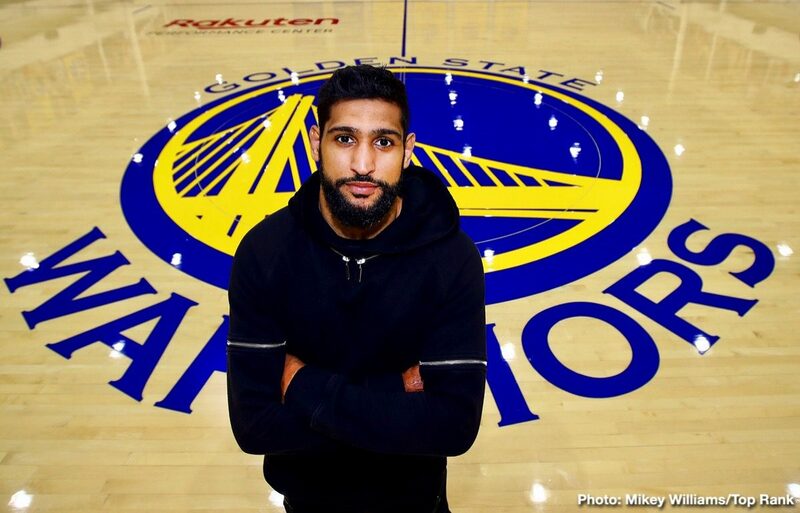 When British star Amir Khan says he is the best fighter Terence Crawford has yet faced (or will face, on April 20th) a good number of fight fans likely sneer. But when we look at Crawford’s resume, maybe it is in fact true. Is Khan better overall than Jeff Horn and Jose Benavidez Jr? Yes, and those men are all Crawford, 34-0(25) has faced as a welterweight. Is Khan a better overall fighter than Thomas Dulorme, Hank Lundy, Dierry Jean, Viktor Postol, John Molina Jr, Felix Diaz and Julius Indongo, all of whom “Bud” beat whilst campaigning as a 140 pounder? Yes again. And as far as Crawford’s 135 opposition goes, only the name Yuriorkis Gamboa could be argued in terms of being a better quality opponent than Khan. So maybe, just perhaps, Crawford, an exceptional talent no doubt, is in for a tougher test on April 20th than plenty of people think. Khan is certain he can shock the odds and win the fight. Speaking with The Express, Khan, 33-4(20) says he “has his number” and that Crawford is making a big mistake by overlooking him. Maybe so. Still, the knock on Khan is always the same, and has been for some years: his chin, his perceived weak or “glass” chin. Downed in his last fight, by Samuel Vargas, Khan, despite what he says about the incident, appeared extremely vulnerable. And as we know, Vargas is no Crawford. But Khan, if he can box to near perfection, keep his chin out of harms way and forget all about being macho (another of Khan’s weaknesses is his willingness to go to war with an opponent), might just be able to give Crawford a tough night. Khan may or may not be the best Crawford has faced, but, Gamboa aside, he is almost certainly the fastest opponent Crawford has fought. With those blurring hands, who knows, maybe Khan can get in, pick up points, and then get out. But can he do it for all 12-rounds? It’s an interesting fight for sure, and though Khan is the rightful underdog, this one is no mismatch. Next boxing news: Wlad To The Bone…The Return of a King?